Public Relations Campaigns: An Integrated Approach introduces you to the process of creating public relations campaigns using a hands-on approach that emphasizes the tools you will need when working in the industry. 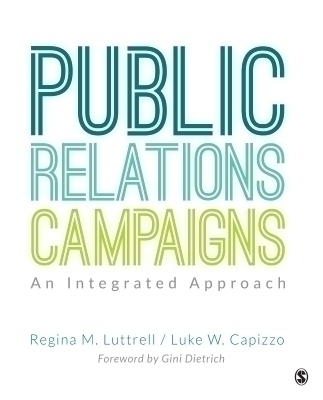 Authors Regina M. Luttrell and Luke W. Capizzo present real examples and current case studies to help you develop practical skills for creating more effective PR campaigns. You are given multiple opportunities to practice and build your skills throughout the book by learning how to incorporate the PESO model—Paid media, Earned media, Social media, and Owned media. The PESO model helps students understand the importance of creating integrated campaigns that coordinate PR efforts with both advertising and marketing. The book offers a timely focus on the PESO model and its use in integrated campaigns, providing students with an understanding of today’s best practices in PR. Numerous case studies and exercises throughout the book aid in a deeper understanding of how research, perspective, and insights can be leveraged in public relations campaigns. Real-world information including sample PR plans with budgets prepare students for success in their future careers.